Today in History–December 7–the Library of Congress features the Japanese air raid on Pearl Harbor, which occurred on this day in 1941. A hurried Navy dispatch sent out the news: AIR RAID ON PEARL HARBOR X THIS IS NOT DRILL. More than 2,300 Americans were killed, 160 aircraft were destroyed, and 12 ships sank. The next day the United States declared war on Japan. 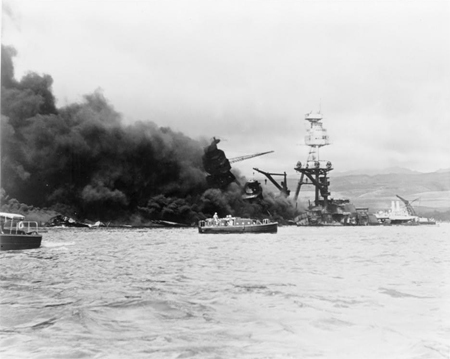 Learn more about this fateful day in U.S. history by visiting the Today in History section, then click the links below to access personal narratives and more primary sources related to Pearl Harbor.